Herniated disc pain can change your life. When a herniated disc is applying pressure to your sciatic nerve, the pain radiates down your leg, into your feet, and can leave you debilitated. Many describe herniated disc pain or sciatica as a burning sensation. It is not uncommon for people to say they feel like their leg is on fire or as if it is covered in fire ants. If this is the type of pain that you are experiencing, please know that we empathize with you. Our goal is to work with you to help you learn how to manage the pain, if not remove it completely. A discectomy is one procedure that has been successful in removing the damaged portion of a herniated disc, thereby eliminating the nerve compression that causes pain, numbness, or weakness.A discectomy works the best in treating radiating symptoms. So these are the symptoms that you feel traveling down your arms or traveling down your legs as a result of a herniated disc. If the pain that you feel is concentrated in your neck or if it is concentrated in your back, then we may discuss a different pain management treatment with you.There are a lot of options for how to perform a discectomy. Most surgeons prefer minimally invasive techniques, allowing them to use small incisions and tiny cameras. When Is a Discectomy Recommendable? This procedure is recommended when the pressure from a herniated disc is affecting your spinal nerves. A herniated disc happens when the soft material inside your disc pushes through a rupture in the tougher exterior of your disc. These risks are rare for most people, but it is good to be aware of possible risks as this will allow you to make the best decision about whether or not discectomy is the right procedure for you. During the procedure, you will be under general anesthesia. So you’re completely unconscious and won’t feel anything. The doctor may need to remove a small piece of your spinal bone or ligament with the goal of getting access to the damaged disc. 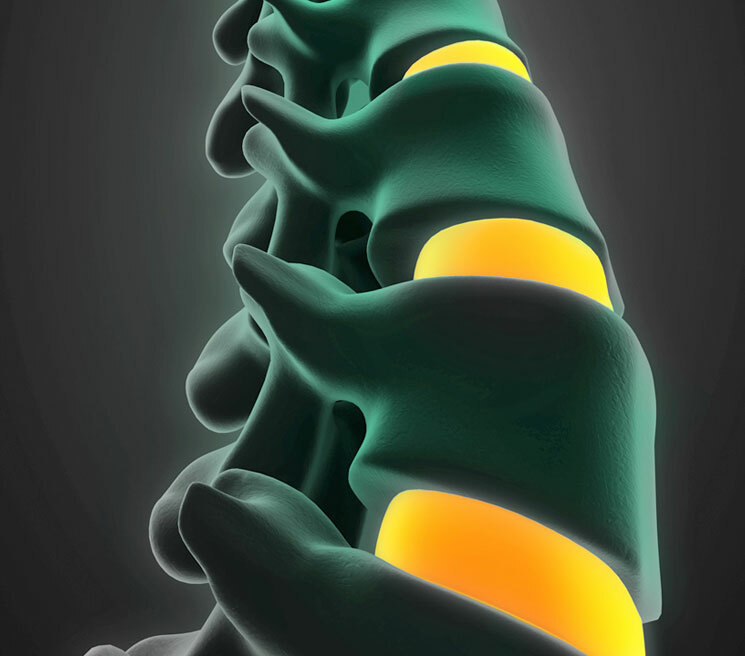 The goal of the procedure is to just remove the fragment of your disc that is causing the pain. In some instances, if the entire disc needs to be removed, the surgeon will fill in the area using a piece of bone or using a synthetic substitute. It is understandable for you to be concerned about the recovery process. Most people are able to return to their daily activities six weeks after the surgery. Recovery is going to depend on your health at the time of the surgery, genetics, and how well you follow the doctor’s instructions regarding rest. In the first couple days after surgery, you are going to have some pain and discomfort. It is essential that you get the adequate rest your body needs to heal. One individual, after getting discectomy surgery, opted to go for a car ride less than a week after their surgery. They said that it was not smart and left them with pain for the entire day. If you follow the doctor’s directions, within a week or so you should be able to walk around for about 30 minutes without feeling tired. Little by little, you will feel your strength and mobility return. There may be mild discomfort, but for most patients, it is nowhere near the intense and agonizing pain they felt prior to the surgery. Dealing with back pain can be traumatic. You can start to feel like no one understands what you’re going through and that there are no options available to address your pain. We understand what it’s like to battle serious back pain, and we are committed to helping you find ways to eliminate or to successfully manage your back pain. Discectomy is just one of many options available for dealing with chronic back pain. The only way for us to know which option is best for you is by talking to you. That’s why when you come into our clinic you’ll see that our primary goal is just to listen to you. We want to hear about your pain, we want to hear about the treatments you’ve tried, and then we want to work with you to create a pain management treatment that’ll work. Our goal is to provide you with both a long-term and short-term treatment. The long-term treatment is designed to help you manage your pain for the rest of your life. The short-term treatment is to get you back on your feet today so that you can get back to living the life you deserve. Pain management is not a simple practice. It requires patience on your part and on ours. You have our guarantee that as long as you want our help, we will be there to help you. We do not give up on our patients. We will never doubt the realness or the severity of your pain. We understand that all pain is real and all pain can be treated or managed. Contact us today, and let us use our years of experience to help you get the pain relief you deserve.